The Art of Imaginary Who – Andrew-Mark Thompson | Warped Factor - Words in the Key of Geek. Tony Fyler talks with Andrew-Mark Thompson. Doctor Who fans are a ridiculously talented bunch of people. 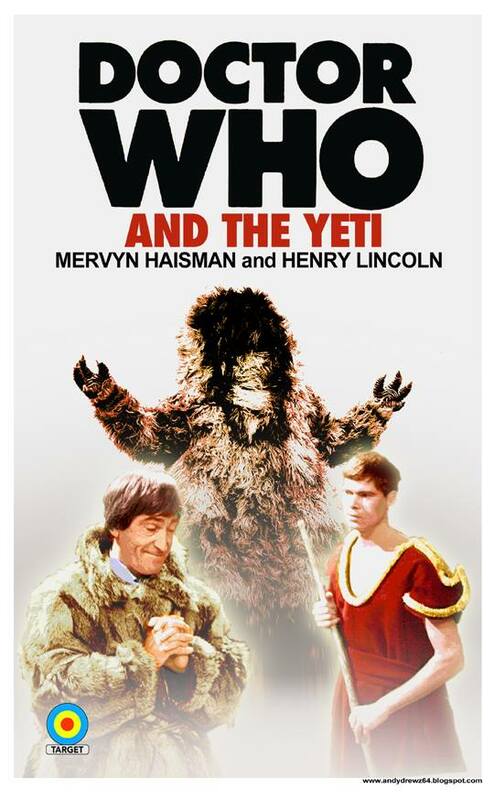 Were this not so, there would be no New Who, no Big Finish and no WarpedFactor. There’s a growing trend among fans with a talent for graphic design of which you might not be aware, but once you learn about it, you’re never going to be able to stop seeking it out. The trend is for the creation of covers for books that don’t exist, or fake merchandise you fervently wish was real. As an introduction into this fascinating world, we spoke to Andrew-Mark Thompson, who regularly creates these covers, bringing wit and imagination to the creative process. Hi Andrew-Mark. How did you get into the game of creating alternative universe Target covers? I’ve been a Who-fan since 1971 – I was seven years old and was scared by the reveal of Auton policemen in Terror of the Autons. Little me didn't realise that coppers had removable faces! 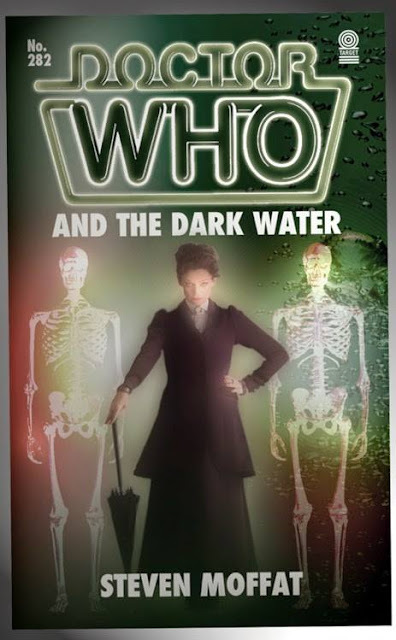 I suppose I really got into Doctor Who in a big way on a rainy holiday on a Great Yarmouth caravan park in 1975. The site's shop had a handful of Target novelisations and I bought Doctor Who and the Cybermen for 35p, read it in a few days and got Doctor Who and the Auton Invasion, which was 5p cheaper. I suppose the rest in history and by the time the adaptation of Planet of the Daleks was published I had a complete set – something I've had ever since! I joined the Doctor Who Appreciation Society in 1980 and attended my first convention shortly after. I co-formed a local DWAS group in Derby and there's been a strong fan presence in the city ever since. With no new Doctor Who on the TV in the 90s though, it took a back seat to other interests. Over the years, I've been a shop assistant, museum guide, stunt man, puppeteer and office supervisor, then a few years ago I took time out to get a degree, where I learnt the nuts and bolts of graphic design and media writing. When the Whoovers formed in Derby in 2000, I drifted back into it and eventually ended up as one of the co-organisers of Whooverville, which coincided with my discovery of Photoshop. I found myself designing flyers and DVD covers for the group as well as the conventions. Then about a year ago, I embarked on a personal project to hone the design skills I’d been taught at university. 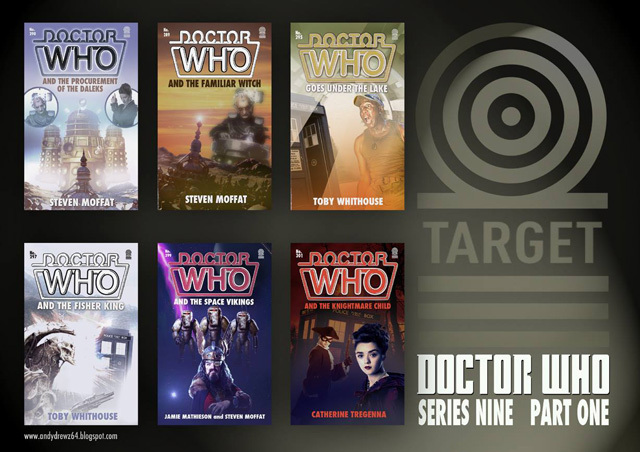 The project was to create faux Target book covers for all of the new series episodes to date. 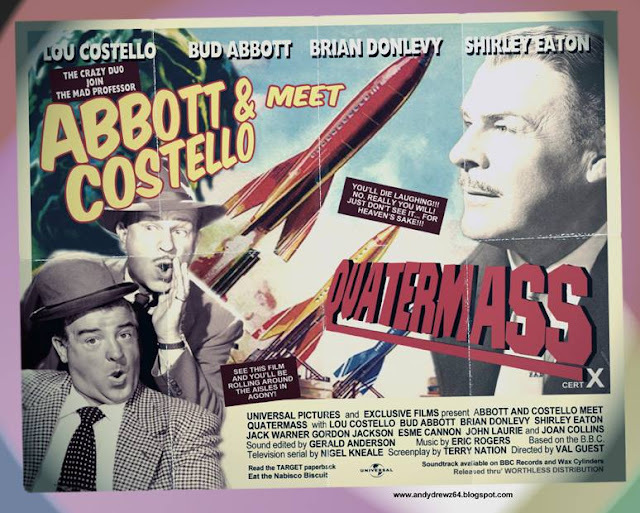 I started a blog to showcase my love of the absurd and, in particular, create fake cult TV merchandise. By Christmas last year I was posting two or three bizarre products a week. 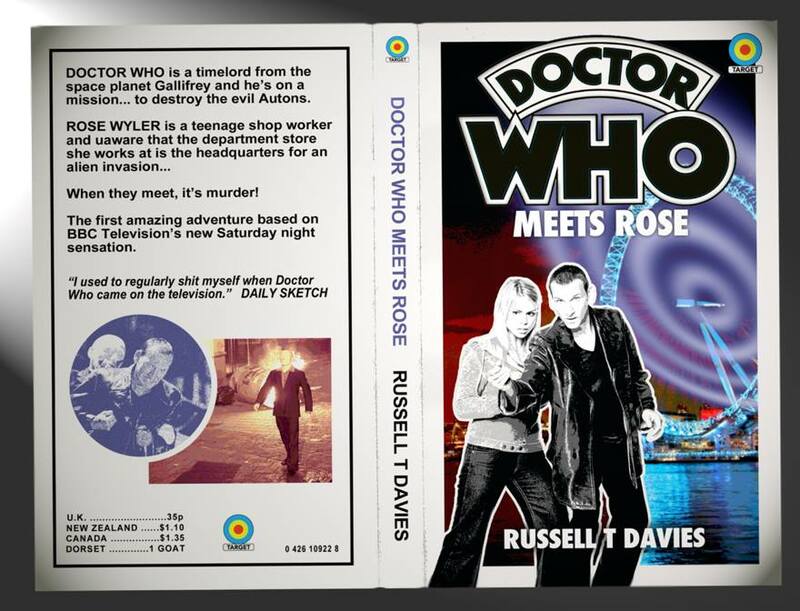 I finished the Target project early this year, having created 'new' covers for every episode from Rose to Last Christmas. The silly stuff also continues but it's dependent on having an idea that makes me laugh. I was amused when my fake ad for a Sapphire & Steel ice lolly went viral over the summer, with many folk thinking it was real despite the giveaway wording! What inspires you in the Target format? How do you decide which elements in any story to use on the cover? Are you trying to resonate with fans' memories of the design principles of the originals, or deliver something unique to your own style, or a bit of both? I've always liked the Target book covers. 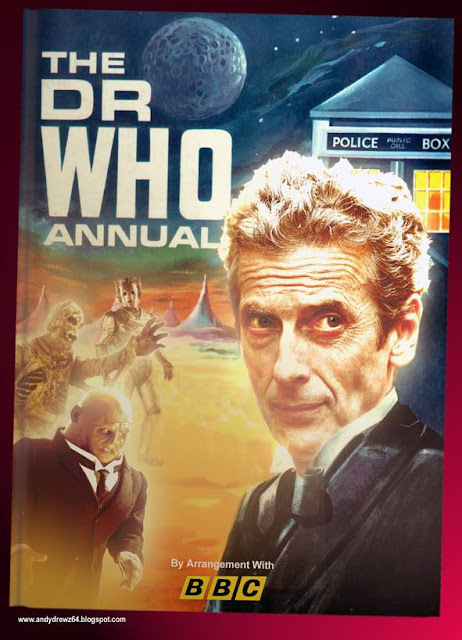 The early ones by Chris Achilleos were obviously inspired by the style of Frank Bellamy's Radio Times cover that promoted Day of the Daleks back in the early 70s - a pop art/comic book style with cartoony explosions and spacescapes together with a 'stippled' portrait of the Doctor. For my recent covers, the inspiration started with a collection of unusual photographs from the series, mostly from the early Hartnell and Troughton stories. I decided to combine these images with what I called the 'Vintage' Target book design from those first editions. At first, I attempted to keep within the Target branding design but as things progressed they became more and more my own take on it – utilising colourisation and, on occasions, different backgrounds to the standard white of the original. At the end of the day, I’m creating these covers to please myself as a Doctor Who fan who bought the original novels back in the 70s. 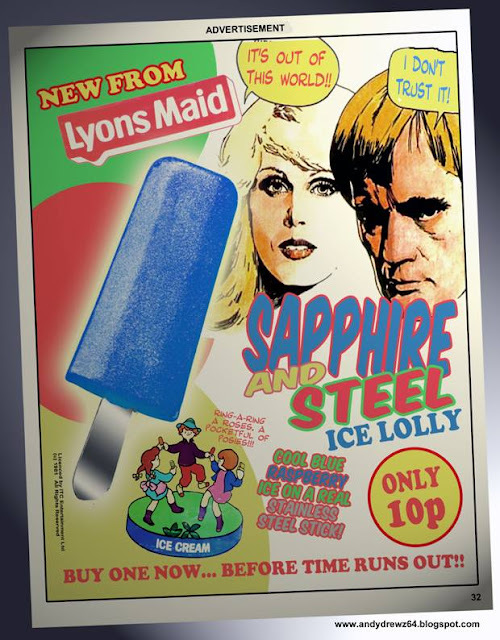 These are the sort of thing I'd still buy today if they were available. Which is the greater challenge? Creating covers for new stories or reimagining covers for books that already exist? Each one has its own challenges. When I decided to do the entire 60s run of Doctor Who as vintage Target books, I had some good photo references to work with. Now I'm onto the final few, the dearth of material a challenge. Fury from the Deep is a bit of a headache, though I’ve just found an unusual shot from the first episode which will make a good design. The challenge with the new stories is more to do with time. I like to have them ready to post in the hour following the episode's UK broadcast. To be honest, I do the actual cover design during the weeks before and leave the blurb on the back to the very end. I suppose these are the sort of constraints that some of the original artists had with stories that were prepared for publication before their original broadcast – like Destiny of the Daleks and The Five Doctors. 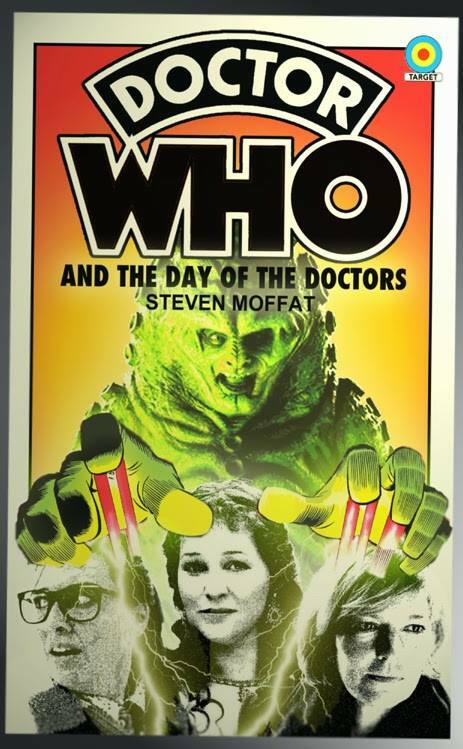 The recent Zygon covers were done well before broadcast. Of course, you do other things besides the Target books. 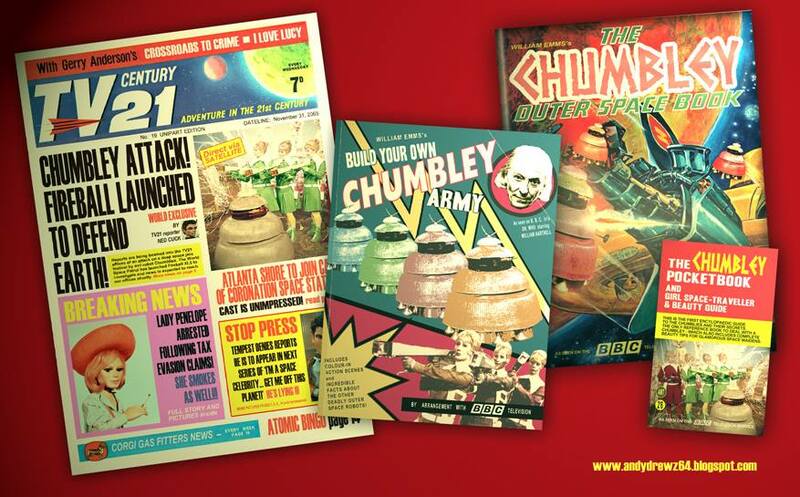 There are annuals, video covers etc. Where do you get the ideas for these things? The ideas really come from the original designs. It amuses me to create covers for new stories based on the old VHS covers from the early 80s – the ones that used whatever photographs were lying around, whether they were from that story or not. Sometimes, it's a case of creating a vintage piece of merchandise that wasn't available back in the 60s or 70s but I wish had been – like The Master Annual 1975 or the Chumbley Make & Do Activity Book which would've amazed the 7 year-old me back in 1971 had I found it gathering dust on the shelves of my local newsagents. There's also an element of satire about them. The Viewmaster reel set for Slipback is one I find amusing – a collection of 3D photos from the recording of the 1985 radio series. 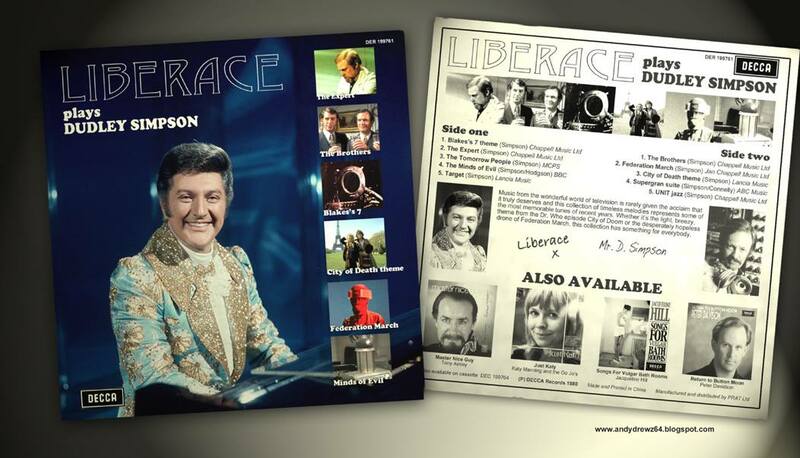 Part of me thinks that it would've happened given the paucity of quality control at BBC Enterprises at the time. The Off Target group on Facebook seems to be a place for like-minded Whovian creatives - do you feed off, inspire or try to outdo each other? Or all three? This is a difficult question. I'll only post stuff there when I have stuff to post and the comments are often quite complimentary. The covers posted there fall into two distinct categories – serious homages to the original Target covers and silly ones based on a gag. I did like Doctor Who Discovers Disc Covers which was recently posted on there. It's such an obvious one that it's a stroke of genius. I wish I'd thought of that one. Do you get a lot of interest from fans wanting to buy your Who-based artwork? I'm a bit bemused when fans ask for large prints of the covers. I design these as paperback covers. They are mostly just a bit larger than A5 on the computer. If I was to blow them up to even A4, some of the dodgy Photoshop construction would stick out like a sore thumb. I did some postcards for the last Whooverville and a couple of A3 poster prints of the first and eighth series covers collected together. It would be nice to do some more postcards but the problem is picking out the ones that fans would want. Who were your favourite graphic artists growing up? What were your favourite ACTUAL Target covers? I love the original Chris Achilleos ones inspired by Frank Bellamy, whose art I adore – especially his Thunderbirds strips for TV21. When I did my final media portfolio at university I cited Dave McKean and Rian Hughes as two influences in my design work. Ultimately, is the Who-based stuff mostly for fun, or are you able to make money from it or use it in your portfolio? Check out all of Andrew-Mark’s work on his blog: http://andydrewz64.blogspot.co.uk/ or search Facebook for Off Target.